After 52 years, Fraddon based Cornish Machinery Supplier, Vincent Tractors is changing its name to Vincent Tractors and Plant. Due to a rise in construction sales a name change has come about to better reflect the nature of the business. Managing director, Paul Vincent, said: “Over the past 52 years the business has grown tremendously, from selling reconditioned tractors to now supplying a vast range of agricultural, groundcare and plant machinery. Vincent Tractors and Plant has over 50 year’s expertise in providing high quality machinery and equipment to the farming, construction and groundcare communities throughout Cornwall. 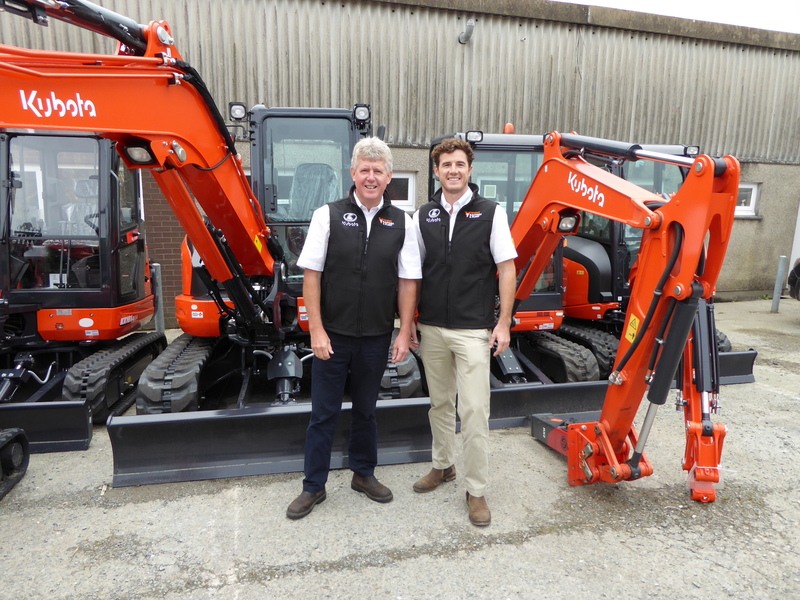 Vincent Tractors and Plant has been supplying Kubota excavators since 2006 as well as Exac-One, Engcon, Geith, Chicago Pneumatic, Epiroc, Husqvarna Construction and Whites Material Handling. “Here at Vincent Tractors and Plant we find that the three areas of our business, agriculture, plant and groundcare, complement each other and we have no plans to change that.” added Vincent. Visitors to the Royal Cornwall Show will be able to find Vincent Tractors and Plant in its usual position near to the main ring on stand 626.